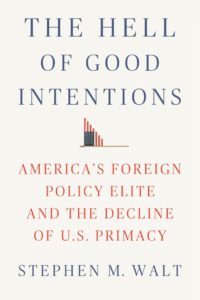 Join us Thursday, May 2, 2019, in the Fellowship Hall at The First Congregational Church of Old Lyme (with dinner after at OLCC) for a presentation by Ivo Daalder and James Lindsay, of the Chicago Council on Global Affairs and Council on Foreign Relations. 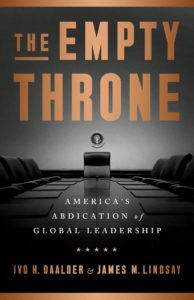 They will discuss, “The Empty Throne: America’s Abdication of Global Leadership,” of which they have a new book of the same name. Register online for the presentation (and optional dinner) at https://scwac.wildapricot.org/event-3244066.